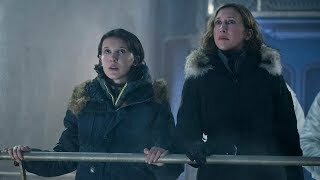 Godzilla: King of the Monsters Movie Their reign begins. Sequel to the 2014 film. 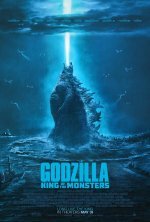 Monarch, the human organization that uncovered Godzilla in the 2014 film, will expand their mission across multiple releases, including 2020's Godzilla vs. Kong. Shortly following Legendary's pact with Universal Pictures, Legendary acquired rights to additional classic characters from Toho's Godzilla universe, including Rodan, Mothra, and King Ghidorah. This paved the way for developing a franchise centered around Monarch and anchored by Godzilla, King Kong, and other famous creatures. Gareth Edwards, who was on-board to direct, has exited Godzilla 2. No start date has been determined yet. (Deadline.com, 5/13/16). Kyle Chandler will play Millie Bobby Brown’s father in the sequel (Variety, 2/21/17). Sources tell Variety that Watanabe is the only original cast member likely to return for the second installment (Variety, 3/27/17). Thomas Middleditch had a small cameo in Kong: Skull Island (2017) voicing an off-camera character (Variety, 5/31/17). added the tagline: "Long live the King."